We looked at the top 1 French Presses and dug through the reviews from 5 of the most popular review sites including BestReviews, New York Times Wirecutter, The Spruce Eats, Influenster and more. Through this analysis, we've determined the best French Press you should buy. 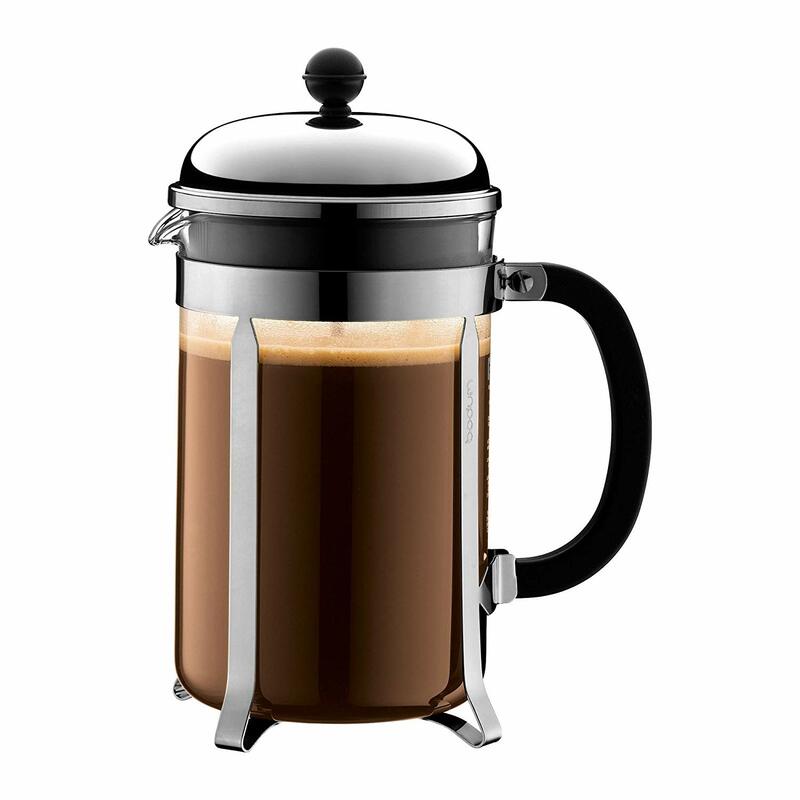 In our analysis of 43 expert reviews, the Bodum Bodum Brazil French Press placed 5th when we looked at the top 9 products in the category. For the full ranking, see below. Have been favorably compared to the more expensive french presses. If you want the same taste that the Chambord offers for almost half the price, we recommend the Bodum Brazil. One thing that is very hard to argue with about the Bodum Brazil is the price. Certain pouring angles will introduce grounds into the brew. To be honest, this is not what you would call the most “durable” of materials, as it ships at 1.2 pounds and weighs practically nothing. The BRAZIL French Press coffee maker, designed in the early 80's, was our first coffee maker and quickly became a symbol of what BODUM stands for. Attractive and functional design at an affordable price! The BRAZIL has a heat resistant, borosilicate glass beaker (the standard for all BODUM French press plungers) and a BPA-free polypropylene handle and base, which make the Brazil easy to use and easy to clean. Brewing coffee in the BRAZIL is one of life's great pleasures. It brews an excellent cup of coffee in the greenest way possible, just add coarsely ground coffee powder and hot water, wait 4 minutes and then slowly push down the plunger - done! Environmentally friendly, as no paper filters or plastic capsules are needed. Dishwasher safe. Made in Europe.